There is a level of excitement in the call center space I haven't witnessed since VoIP began transforming the call center into the contact center. Over the years, we have seen technology after technology change the way contact centers work and we are the point today where IP communications affords us the opportunity to distribute call centers and agents at will. But VoIP seems so yesterday. The latest revolution to come to contact centers is that of unified communications and about a week ago I wrote about how Aspect introduced a unified communications platform that will allow call centers to increase service, sales and first call resolution levels. 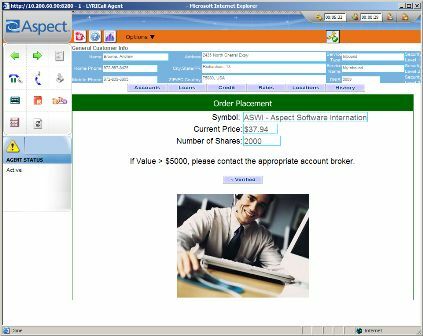 Just a few days after my article, Microsoft decided to invest in Aspect and moreover the two companies decided it made sense to collaborate on a suite of contact center solutions integrating the best of Microsoft OCS and Aspect's UC solutions. In an interview with Mike Sheridan, SVP of Strategy for Aspect and Microsoft's Clint Patterson, Director of PR for Unified Communications I had a chance to learn more about this agreement between the operating system and contact center software leaders. The duo believe that the synergies afforded by this collaboration will be great and they really see it as transformational… They see peoples' lives improving because of better call center service levels. While on the surface it is easy to dismiss such comments as PR speak, one of the most frustrating experiences many of us deal with on a regular basis is communication with rock bottom contact center agents who are still digging. Even an improvement of a few percentage points will likely make our lives a bit better. The two companies are in a five year agreement which encompasses a collaborative roadmap between Aspect Unified IP and OCS. Microsoft will help improve the UC readiness of Aspect solutions and in addition will support sales and systems integration efforts which will include an SI practice whose goal it will to ensure end-to-end UC for contact centers. There are also significant go-to-market initiatives as part of this agreement such as PR, marketing and distribution of customer success stories. I asked how this agreement differs from the relationship with Nortel and one of the first differences is that Nortel did not receive an equity investment. In addition, Patterson was quick to point out the agreement with Nortel is much more broad while Aspect's partnership is laser-focused on the contact center. I naturally was curious about how the TellMe acquisition fits into this overall Aspect relationship and Patterson explained that there are great synergies between the hosted speech services company and Aspects' solutions. It will be great to see what comes of such collaboration. Some of our discussion focused on CEBP and how call centers seem to be ideally suited to such integration. In addition Sheridan was quick to point out the synergies between presence in the contact center and the rest of an organization. Our conversation quickly lead to the fact that some call center managers complain that IM is actually a distraction and presence-enabled solutions such as skills-based presence and collaboration help make contact center agents more productive. So is Microsoft's commitment to the contact center for real? According to Patterson, "The power of UC is most demonstrably and tangibly felt in the contact center. It's one of those places where UC is a no-brainer." I guess we settled that question. For me this agreement brings back a ton of memories as I watched the new Aspect get built with some of the best technology the contact center market had to offer. Companies like PakNetX, CellIT, Melita and Rockwell Electronic Commerce are all part of the new Aspect and now the company has reached a level in the market where they have become a strategic partner to Microsoft. I just have to commend the Aspect management team for getting the company to this point and moreover Microsoft deserves a great deal of credit for making an investment and by doing so developing a great relationship with the premiere call center company in the market. The installed base of Aspect customers is just so vast that this agreement should pay back both companies for many years to come. Of course this news puts competitive pressure on Cisco, Avaya and Nortel. Now Aspect has a relationship which gives the company as much clout as Cisco and it also has a suite of software solutions which are more elaborate than most of the major enterprise communications companies. It will be interesting to see what other alliances are developed in the market as a result of this one. 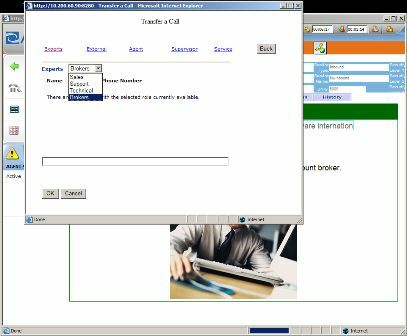 If you are in the contact center business and you thought you were done upgrading the technology in your center, guess again. It is now time to get back in the game and start figuring out new ways to delight your customers, and improve sales and service levels. Before I leave you, the most important part of this article may just be that Aspect will be using Microsoft's telephony solutions in a few years. If Microsoft's solutions are good enough for contact centers they are likely good enough for any enterprise application. This may not be great news for some of the PBX players in the market. \nBut VoIP seems so yesterday. The latest revolution to come to contact centers is that of unified communications and about a week ago I wrote about how Aspect introduced a unified communications platform that will allow call centers to increase service, sales and first call resolution levels. \nJust a few days after my article, Microsoft decided to invest in Aspect and moreover the two companies decided it made sense to collaborate on a suite of contact center solutions integrating the best of Microsoft OCS and Aspect's UC solutions. \nIn an interview with Mike Sheridan, SVP of Strategy for Aspect and Microsoft's Clint Patterson, Director of PR for Unified Communications I had a chance to learn more about this agreement between the operating system and contact center software leaders. \n The duo believe that the synergies afforded by this collaboration will be great and they really see it as transformational… They see peoples' lives improving because of better call center service levels. \n While on the surface it is easy to dismiss such comments as PR speak, one of the most frustrating experiences many of us deal with on a regular basis is communication with rock bottom contact center agents who are still digging. Even an improvement of a few percentage points will likely make our lives a bit better. \n The two companies are in a five year agreement which encompasses a collaborative roadmap between Aspect Unified IP and OCS. Microsoft will help improve the UC readiness of Aspect solutions and in addition will support sales and systems integration efforts which will include an SI practice whose goal it will to ensure end-to-end UC for contact centers. \nThere are also significant go-to-market initiatives as part of this agreement such as PR, marketing and distribution of customer success stories. \nI asked how this agreement differs from the relationship with Nortel and one of the first differences is that Nortel did not receive an equity investment. In addition, Patterson was quick to point out the agreement with Nortel is much more broad while Aspect's partnership is laser-focused on the contact center. \nI naturally was curious about how the TellMe acquisition fits into this overall Aspect relationship and Patterson explained that there are great synergies between the hosted speech services company and Aspects' solutions. It will be great to see what comes of such collaboration. \nSome of our discussion focused on CEBP and how call centers seem to be ideally suited to such integration. In addition Sheridan was quick to point out the synergies between presence in the contact center and the rest of an organization. \nOur conversation quickly lead to the fact that some call center managers complain that IM is actually a distraction and presence-enabled solutions such as skills-based presence and collaboration help make contact center agents more productive. \nSo is Microsoft's commitment to the contact center for real? According to Patterson, "The power of UC is most demonstrably and tangibly felt in the contact center. It's one of those places where UC is a no-brainer." I guess we settled that question. \nFor me this agreement brings back a ton of memories as I watched the new Aspect get built with some of the best technology the contact center market had to offer. Companies like PakNetX, CellIT, Melita and Rockwell Electronic Commerce are all part of the new Aspect and now the company has reached a level in the market where they have become a strategic partner to Microsoft. \nI just have to commend the Aspect management team for getting the company to this point and moreover Microsoft deserves a great deal of credit for making an investment and by doing so developing a great relationship with the premiere call center company in the market. \nThe installed base of Aspect customers is just so vast that this agreement should pay back both companies for many years to come. Of course this news puts competitive pressure on Cisco, Avaya and Nortel. Now Aspect has a relationship which gives the company as much clout as Cisco and it also has a suite of software solutions which are more elaborate than most of the major enterprise communications companies. \nIt will be interesting to see what other alliances are developed in the market as a result of this one. \nIf you are in the contact center business and you thought you were done upgrading the technology in your center, guess again. It is now time to get back in the game and start figuring out new ways to delight your customers, and improve sales and service levels. \nBefore I leave you, the most important part of this article may just be that Aspect will be using Microsoft's telephony solutions in a few years. If Microsoft's solutions are good enough for contact centers they are likely good enough for any enterprise application. This may not be great news for some of the PBX players in the market.